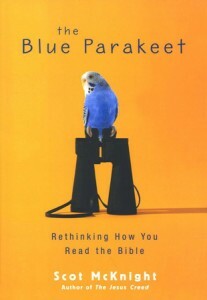 For those of you who enjoyed my series on 10 Ways We Must Read Scripture Differently (#1 starts here), I thought it might be nice to see a different perspective on how not to read the Bible! In this case, by someone far more qualified than me to write on this topic – New Testament scholar Scot Mcknight! 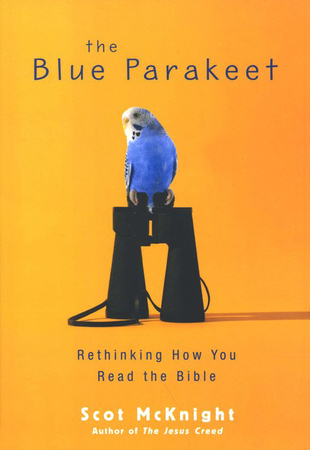 I recently started reading Mcknight’s The Blue Parakeet: Rethinking How You Read the Bible and found some very similar thoughts to mine, but his list only contains 5 concerns (that he refers to as “shortcuts” – see p. 42-54 of Blue Parakeet), which I will summarize here. (Actually, better yet, stop reading now and go order the book). “become intoxicated with our own moral superiority. become more concerned with being right than being good. Just about every denomination, group and movement in Christianity is guilty of this approach to one degree or another, by what (in the Bible) they emphasize, highlight, de-emphasize, ignore or explain away. So what do you think of McKnight’s approach? Although there is a lot of overlap with mine, it is definitely a different approach to the problem. Has he left anything out? One final challenge to the Vineyard-ites out there? Should McKnight’s challenge in 5 (and to a lesser degree 4) above cause us to reconsider our Kingdom of God centric reading of scripture as too limiting? 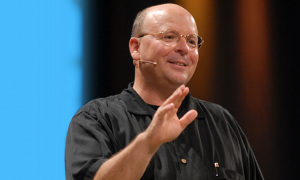 Could we be reading our own kingdom presuppositions into the Bible in places where it’s just not there? Shouldn’t we just let John be John, let Paul be Paul, and let Moses be Moses. Let me know what you think in the comments below! Brad, I think we Vineyard-ites are on safe ground, contra McKnight, on interpreting Scripture through a KOG lens. (Maybe we’ve already found an exception to Rule 5!) I base this on the simple observation, widely agreed on, that the center of Jesus’ message was the KOG. Since He said the whole of Scripture is about Him (Luke 24:27) it should follow that His claims to fulfill the whole law would almost require reading the whole of Scripture through a KOG-come-in-Christ-lens, wouldn’t it?